Original artwork by Matt Meyung. 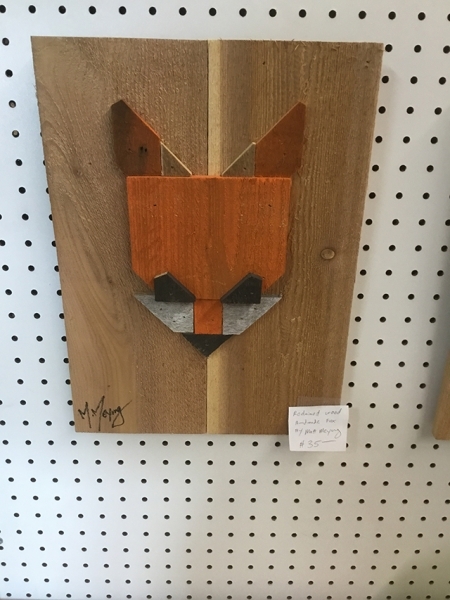 Reclaimed wood art. Located in Peculiar Fox on the lower level.